The only child of her two loving dads, sixteen-year-old Lucy is a happy A-student on her way to Broadway stardom. But in a matter of days, she loses both her boyfriend and the role of Juliet to her arch-rival. And then, just when she thinks things can't possibly get any worse, her absentee birth mother reemerges in her life unannounced and with a hidden agenda. Desperate to escape her problems, if only for one night, Lucy makes the fateful decision to go home with a man she just met. One month later, Lucy learns that she is HIV-positive and she suddenly finds herself floating through a life that seems pointless. How can she face her dads? What is she going to tell Evan, her sweet new boyfriend? Will anyone ever be able to love her again? It's not until she meets Roxie, a nineteen-year-old HIV/AIDS support group leader, that Lucy begins to realize that while her life may never be perfect again, it's not over just yet. 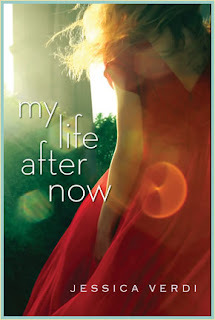 Add your review of "My Life After Now" in comments!